Automotive Locksmith in Edmonton provides all the security solutions a driver might ever find himself in need of, 24 hours a day. Most of the drivers get to experience such issues as a car lockout or a car key loss, sooner or later. One never knows when he will find himself in need of a locksmith service, but once you do – we have you covered! We are here to help you whenever you have a problem and our reliable locksmiths will surely be able to solve it. You find yourself without your car key, what should you do? Well a good friend with a spare key is always a good option but if professional service is needed, our locksmiths are more than capable! Let us provide you with professional assistance. We can help whether it’s a lockout service, a new car key or an ignition that frequently gets jammed. All of us expect optimal service and that is exactly what you’ll get! 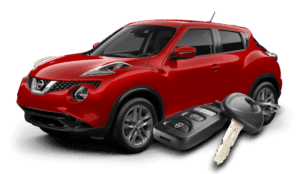 In the time of a car key, lockout or ignition related issue we the locksmiths, should be your most helpful friend. We treat this fact with respect! Call now, your issue will be dealt with in a fast, courteous manner. Your day will be back on track and your complete satisfaction is always a top priority! Dial (780) 665-5114 for Best in class Auto Services! Locksmith TIP: always keep a spare key with someone you trust to avoid emergency surcharges, call now and have your key made. Does your ignition get jammed frequently ? Don’t wait for the last minute when dealing with a faulty ignition, usually an ignition needs to be ordered especially for your car so you might find yourself in need of a tow truck on top of everything ! You can use our convenient FREE estimate form, a service representative will contact you upon completion.